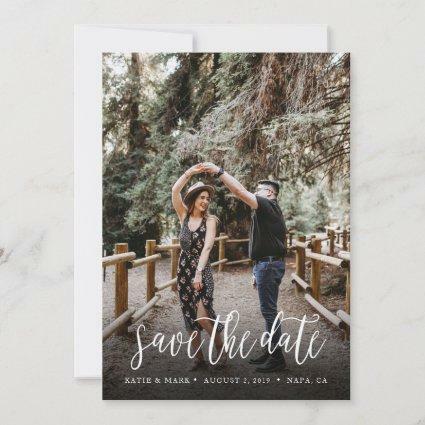 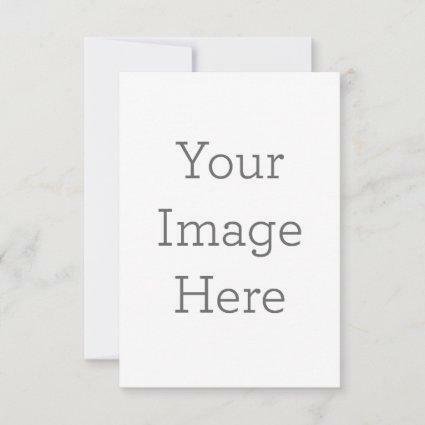 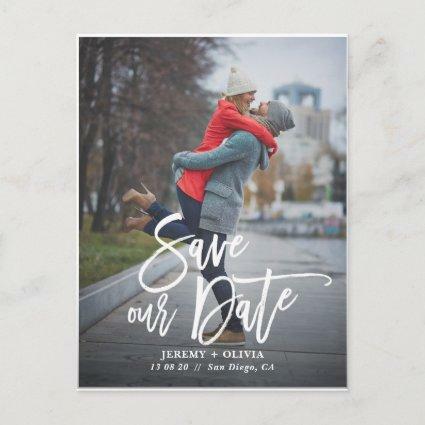 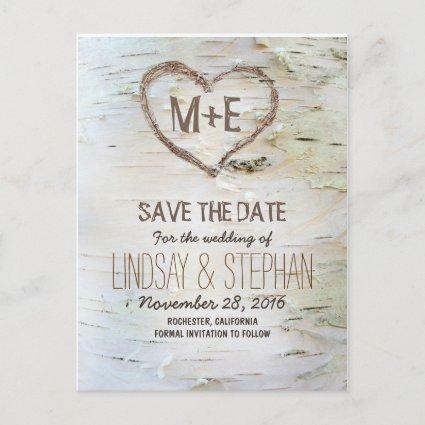 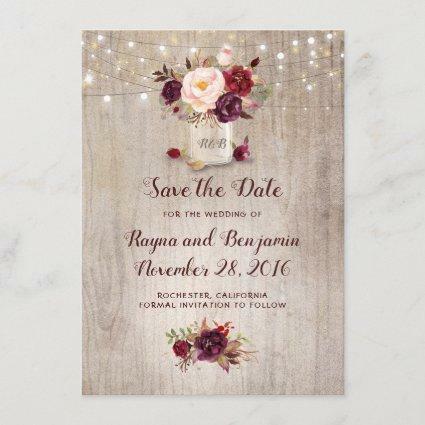 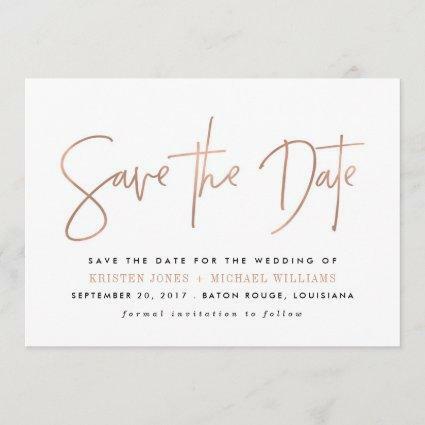 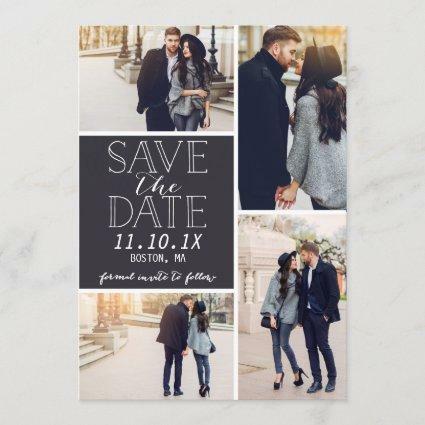 Simple and elegant save the date cards notify your guests of your upcoming wedding in timeless style. 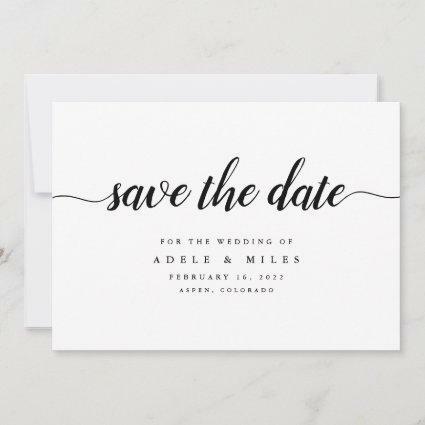 Crisp white cards feature "save the date" in calligraphy script lettering, with your names, wedding date and location beneath in classic black serif type. Add additional information, like your wedding website, to the reverse side in white lettering on a contrasting black background.